ARC News Service reports from some YDNPA Full Authority meetings in 2017 and 2018. December 2018: the Review of Designated Landscapes including the important role of farmers and landowners; a new Three Peaks Code of Conduct; and a Youth Manifesto. See also YDNPA and the cost of the boundary extension. March 2018: farming in post-Brexit Britain and a pioneering agri-environmental scheme in Wensleydale; council tax on second homes; and extending the conservation area at Downholme. A resolution concerning Yore Mills at Aysgarth was published. December 2017: Attracting families to live and work in the Yorkshire Dales and increasing council tax on second homes; and allocating funds for a garden at the Chelsea Flower Show. 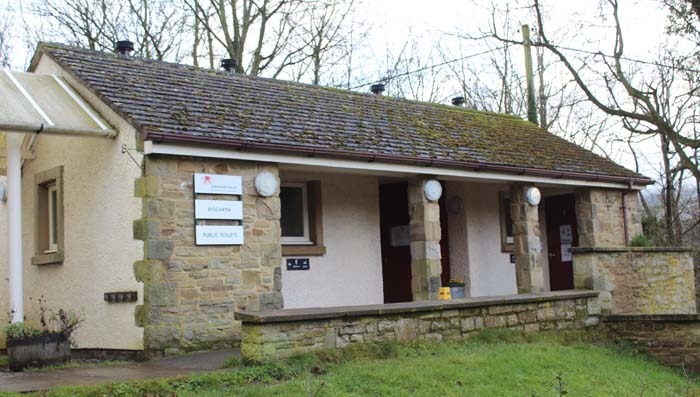 There was also a very interesting report on the introduction of a charge to use the YDNPA’s public toilets at Grassington compared to having a donation box at those at Aysgarth. It was agreed at the Full Authority meeting that the government should be informed about the significant and central role of farmers and landowners in maintaining the Yorkshire Dales National Park. The members approved the Authority’s Review of Designated Landscapes which was then submitted to the government. This will be used to compile the government’s review of National Parks and Areas of Natural Beauty (AONB) as part of its 25 Year Environment Plan. The YDNPA review stated: “The Yorkshire Dales NPA has a close working relationship with farmers and land managers. This has been developed over many years with the Authority sometimes running its own local agri-environment schemes, as well as supporting the delivery of national schemes (and occasionally directly delivering them). The review continued: “From our experience through the pilot [scheme] and the wider feedback from farmers we believe that National Park Authorities should be involved in the direction, co-design and delivery of the new environmental land management scheme. The aim being to provide a system that is responsive to our landscapes and farming practices; that better integrates and works alongside local farmers and land managers and ensures positive outcomes for nature and those who work the land. The review also considered the socio-economic impact of National Park and AONB authorities on those who lived and worked in those areas especially at a time of large demographic shifts (including the movement of young people), the huge increase in the number of second homes and holiday lets, and the reduction in key local services such as transport, post offices and the roll-out of broadband and mobile telecommunications. Richmondshire District councillor Yvonne Peacock emphasised that the YDNPA should have a duty to the social and economic wellbeing of those who lived and worked in the National Park. And North Yorkshire County councillor John Blackie said that the way forward was to encourage more self-help projects like those in Hawes. He also described the Right to Buy scheme for Housing Association tenants as being one of the biggest threats to providing local affordable accommodation in the National Park. “Right to Buy threatens the communities that we have here,” he said. “Small is not always beautiful,” commented Cllr Heseltine. He felt that the membership of 25 on the YDNPA board was right because sufficient members were required to ensure good representation. Cllr Peacock commented that the Yorkshire Dales National Park was so diverse that a wide spread of board members was necessary. It was agreed not to change the report, however, especially as it pointed out that the YDNPA would be carrying out a governance review in 2019 and 2020. The full report can be seen at: Review of Designated Landscapes – Submission. North Yorkshire County councillor Richard Welch described the problems that the residents of Horton-in-Ribblesdale were facing due to the tens of thousands of walkers seeking to complete the Three Peaks Challenge. He said that on one occasion two coach-loads of walkers arrived at 5am. The coach drivers kept the engines running while the very noisy walkers disembarked. Once the walkers had completed the route they headed for the pub and were clearly heard singing about their success until late at night. He agreed that the new code of conduct should be approved. This was outlined to the members by Kathryn Beardmore the YDNPA director of park services. She said that the main problems for Horton in Ribblesdale appeared to be noise and anti-social behaviour. The Authority had worked with the community there to draft the new code of conduct. She noted that Horton in Ribblesdale was the traditional start of the Three Peaks challenge which was a 24-mile walk on public rights of way and open access land. The Authority’s member champion for recreation management, Cumbria County councillor Nick Cotton commented: “In a way this is an enormous success story.” He pointed out that the Three Peaks challenge attracted people of all ages and was also used by charities to raise money. This meant a lot of people spent one to two nights in the area and it was likely many would return to visit the Yorkshire Dales. For the full report and new code of conduct click here. The Youth Manifesto adopted at the meeting was heralded by some members as a good way to gather information about the needs of young people in the National Park. And two members pointed out that there were already groups from which the information could be collected. And Eden District councillor William Patterson said the National Park should work with the young farmers groups which involved people from all walks of life. In the manifesto, presented by YDNPA communications and ranger apprentices Katy Foxford and Ian Colledge, the problem of low wages and the need for job opportunities and more training were highlighted alongside such issues as the provision of transport, improved digital connectivity, affordable housing, further education and business support. The objective was youth empowerment through establishing youth councils and other means so that young people would gain the experience to be the future leaders in National Parks and rural communities. They plan to launch a youth forum in the park to facilitate social opportunities for under-25s. Mr Butterworth explained that the manifesto was developed by a number of young people across Europe after the 2018 Europarc Conference in the Cairngorms. He said: “The Europarc Youth Manifesto seeks to improve the connection between decision makers in rural areas and young people. It highlights what public bodies can do to assist in the retention of young people in our communities and act as an attractor for others to move to the area. He hoped it would also be adopted by county and district councils. The YDNPA is leading the way towards farming in the post-Brexit era thanks to a pilot scheme involving 19 farmers in Wensleydale. And members agreed that Defra should be approached for the funding needed to extend it. Ian McPherson told the meeting: “We are leading the field in the country on the way in which agric-environmental schemes might look like. Ministers are extremely impressed by the work we are doing (with) the results based agri-environmental scheme in Wensleydale. The National Park’s Farming and Rural Management two-year scheme in Wensleydale, which is being run in partnership with Natural England, involves 19 farmers and will end in September this year. The YDNPA has now applied to Defra so that it can be extended for three years and the number of Wensleydale farmers increased to 40. The scheme was developed in response to the Government’s intention to introduce a 25-year plan to improve the environment. One of the members, Neil Heseltine who farms at Malham, described it as exciting. He told the meeting that it could mean that rather than him having a one dimensional farm which produced red meat it could also encourage wildlife habitat, bio-diversity, pollinators, soil health and public and educational access. He said it appeared that Defra and the government had followed closely a paper presented by National Park England last year before it produced its Agriculture Command Paper entitled Health and Harmony: The future for food, farming and the environment in a green Brexit. “Local knowledge is imperative to delivering high results and also gives us a much better value for money,” he commented. YDNPA officers Gary Smith and Adrian Shepherd explained that the Wensleydale scheme was exploring the concept of “public works for public money”. They reported that at every stage the pilot had been developed in collaboration with the local farming community. The farmers, they said, had invested time and effort into developing the skills necessary to implement a results-based approach, and switch to a system based on farmer self-assessment. In his report Mr Smith underlined the problems being faced by farmers in the dales. “Farming remains critical to the local economy. It accounts for 10 per cent of employment in the National Park, with around 2,700 people employed directly agriculture.” But, he added, the core agricultural business of many upland farms was operating at a loss. He quoted the Evidence Compendium that accompanied the Government’s Agriculture Command Paper which was launched in February this year. This stated that currently Direct Payments provided an average of about 60 per cent of upland farm business income. Even with Direct Payments 14 per cent of upland grazing livestock farm businesses were currently making a loss, and without it this could have risen to 46 per cent. “Farming remains critical to the local economy – not only because of the direct employment it provides but because it manages the landscape on which a multi-million pound tourism industry depends,” Mr Smith said. David Butterworth warned, however, that so far the Government had not yet set out a clear work programme. And Chris Clark stated: “We as an authority have to under pin farmers’ uncertainties. We must communicate more what are the issues that are facing the dales farmers, and we also need to communicate the solutions. I think as an authority we need to be doing that in a more open way.” Mr Clark (who farms in Langstrothdale) is, like Mr Heseltine, a parish council representative on the Authority. Mr Butterworth reminded members that the Yorkshire Dales National Park Authority still has a policy which involves controlling the creation of second homes through either the planning system, taxation or other means. North Yorkshire County councillor Richard Welch had spoken of the members’ disappointment that Richmondshire District Council (RDC) had rejected the Authority’s call to increase the council tax on second homes. Cllr Welch asked: “Bearing in mind that one of our initiatives is to increase [the number of] people living and working in the Dales – what do we do now?” He added that he did not want the Authority to give up on finding a solution. Mr Butterworth responded that they should wait for a while and when they did look at the issue again it might involve some more research and data analysis. He said that only one of the four authorities with areas within the Yorkshire Dales National Park had voted against the proposal, but the RDC had the largest number of second homes. “We failed,” commented the leader of the RDC and YDNPA member, Cllr Yvonne Peacock. She added, however, that during the two months that the issue was being debated the Government and many others in England had been made aware that the large number of second homes was a causing a huge problem for rural communities. Lancashire County councillor Cosima Towneley agreed with Mr Butterworth that it was just as important to improve the infrastructure within the National Park. Whilst she mentioned the roads he listed the need for more affordable homes, the development of economic sites, the extension of broadband and the branding of the area as ways in which to make the National Park a more attractive place to live and work. It was unanimously agreed that Downholme conservation area can be extended into the Yorkshire Dales National Park. Gary Smith, the Authority’s Director of Conservation and Community, told the members that the application to extend the conservation area was unusual for two reasons: First, that the part of the village within Richmondshire District Council’s area already had conservation status; and secondly because Hudswell and District Parish Council had asked the Authority to extend it into the National Park. Mr Smith said that the Authority had worked with the villagers, the parish council and the district council on the appraisal. Members were told that there were no objections to the proposed extensions although at first the Ministry of Defence was concerned about the potential obligations for remedial or other works on its land. It was, however, assured that no such work would be necessary. It was reported that the district council had indicated its intention to support the boundary extensions which will affect minor inclusions in its area. The north side of the main street inside the village which includes important historic buildings like the Bolton Arms, Downholme Hall ruins and the former smith as well as the central village green, the pin fold and a churn stand. The area at the northern edge of the village which includes the remains of the former mining industries and fine views into Swaledale, to How Hill and Downholm Hall ruins. The triangular green which provides a significant entrance into the village from the west, with the Vicarage and surrounding mature trees and hedges. The large open fields to the north and medieval lynchets, the quarry with lime kiln, quarry-foreman office building and explosives magazines, and the church. That the Authority: a) supports Richmondshire District Council to secure appropriate urgent works to Yore Mill through the use of their legal powers; and b) makes public the Mill’s plight in the hope of securing a change in ownership and new funding possibilities so as to improve the chances of a comprehensive re-use in the future. Second homes “deny” a home to a permanent resident and help to push up house prices beyond the reach of local people, especially younger people, David Butterworth, the YDNPA chief executive, told members. He quoted figures from the 2011 census which showed the from 2001 to 2011 an average of 65 new homes were created each year in the National Park. But approximately 90 houses were being turned into second homes or holiday lets each year. Of the 13,500 dwellings or more 3,000 were second homes or holiday lets. The majority of the members supported his recommendation to support putting time into working with the constituent district councils to try to reach agreement on a joint programme of activity to attract more families and people of working age to move to the National Park; and, as part of that programme, to approve the Authority working alongside the district councils and other relevant authorities to develop a specific proposal to the Government on second homes. Mr Butterworth recommended that the YDNPA should work with the local authorities to seek government support for the establishment of a five-year pilot to test whether a substantial increase in council tax on second homes within the National Park would have a positive impact, in part by bringing homes back into full-time occupancy and by discouraging the purchase of second homes. He said: “It is not for the YDNPA to set the level of council tax that might apply during the pilot period. This can only be decided by the authorities that have responsibility for these matters. Nonetheless the sum concerned has to be of sufficient magnitude to have a significant impact. Whilst a small increase in council tax on second homes might raise some additional revenue, it is unlikely to deliver the objectives. Many of the members agreed that something had to be done as communities were being undermined leading to the loss of schools, shops and other facilities. Richmondshire District Councillor Yvonne Peacock pointed out that in order to retain such a beautiful landscape it was not possible to build many new houses. She hoped that an increase in the council tax on second homes would lead to a drop in house prices. “Then we will actually have people living and working in our National Park,” she said. Some members did question the proposal to increase council taxes on second homes. A former chairman of the YDNPA, Steve Macaré, did not believe that the Authority should be leading the way with such a proposal because it was not a precepting council. That, he said, should be left to the district councils which have areas within the Yorkshire Dales National Park. He and others pointed out that the negative impact upon rural communities of the increasing number of second homes and holiday lets was a nationwide problem and not just within national parks. North Yorkshire Conty Cuncillor John Blackie warned about the law of un-intended consequences which could lead to the interests of local communities actually being damaged. Others described the proposal as a blunt instrument which had not been fully researched. She accepted that something did need to be done but asked at what cost. She agreed with some others that the priority had to be to create more jobs, and to improve transport and communications. A parish council representative, Cllr Allen Kirkbride, described how many second home owners in Askrigg actively supported community events. He did not believe that increasing the tax on second homes would solve the problem of providing more affordable housing. Cllr John Blackie pointed out that many of the volunteers with the Little White Bus service had been second home owners and now wanted to give back something to the community. “An increase in tax will put off people who want to contribute – they will go elsewhere,” he added. Some members wondered why the issue of holiday lets was not also being considered as these also had a detrimental impact upon local schools, medical practices and other facilities. Jim Munday said the Authority should consider its own planning policy which allowed traditional barns to be converted into holiday lets as well as local occupancy homes. “I support this initiative but I strongly recommend that there is no difference between holiday lets and second homes,” he stated. Mr Butterworth, however, replied that holiday lets were businesses that contributed to the local economy in a way that second homes didn’t. More importantly, he added, was that one of the policies of the National Park was to encourage more tourists to come and enjoy it (see below regarding the Chelsea Flower Show). To include holiday lets with second homes would be an ‘absolute nonsense’, he said. After a 25-month trial the Yorkshire Dales National Park Authority has found that people prefer to make a financial donation to use public toilets as at Aysgarth rather than being charged. “Psychologically it is known that making a donation makes the individual feel good. Paying for something can have the opposite effect,” Kathryn Beardmore, the director of park services, said. According to her report it was decided in March 2015 to run a trial at two National Park centres to help raise funds for the Authority. At Grassington turnstiles were installed at a cost of £8,700 so that visitors have to pay 20p to enter the National Park’s toilets, whereas a donation box was placed at those at the Aysgarth information centre (above) for just £500. The net income at Grassington between August 1 2015 and August 31 2017 was £23,900 after £3,200 was spent on collection costs and £1,200 on repairing the turnstiles. Ms Beardmore reported: “In the first year, when the turnstiles were under warranty there was no maintenance, but two years on they are becoming increasingly troublesome.”And that means more trouble for the Authority’s staff at Grassington. The staff have had to deal with irate visitors who have put their pennies in but couldn’t gain admission to the toilets. Besides helping them to access the toilets and organising the repairs, staff have also had many requests for change. She added that at Grassington 54 per cent of visitors were satisfied with the toilets there compared to 91 per cent at Aysgarth. She said this was not due to the level of upkeep or cleanliness of the two sets of toilets. Not surprisingly, the Authority will not be installing any more turnstiles at their toilets although those at Grassington are expected to remain for a few more years. A donation box has already been installed at Malham and it is likely that there will be boxes at the National Park’s toilets at Hawes and Horton in Ribblesdale. It was agreed that the Authority will allocate £25,000 from its Opportunities Fund to sponsor Welcome to Yorkshire’s “Yorkshire Dales Garden” at the 2018 RHS Chelsea Flower Show.